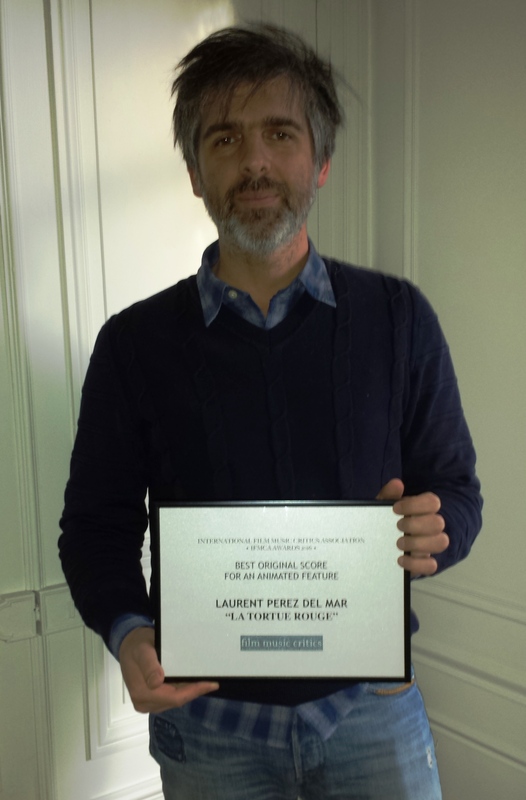 Composer Laurent Perez del Mar has been presented with the International Film Music Critics Association Award for Best Original Score for a Animated Feature by IFMCA members Florent Groult and Olivier Desbrosses, for his score for La Tortue Rouge [The Red Turtle]. The other nominees in the category were Kubo and the Two Strings by Dario Marianelli, Moana by Mark Mancina, The Secret Life of Pets by Alexandre Desplat, and Zootopia by Michael Giacchino. 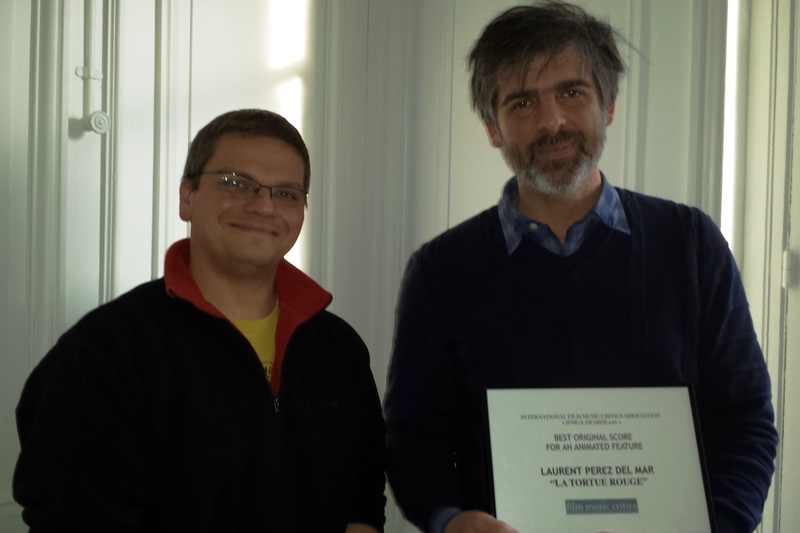 This is Perez’s first IFMCA Award; and magnificent score was also nominated in the category of Score of the Year. La Tortue Rouge is a project borne from a fruitful collaboration between French and Japanese producers at Wild Bunch and Studio Ghibli. Critically acclaimed all over the world, nominated for an Academy Award, and winner of Special Prize Un Certain Regard and Caméra d’Or for Best First Feature Film at the 2016 Cannes Film Festival, the movie is directed by Dutch-British animator Michaël Dudok de Wit who co-wrote the screenplay with French director Pascale Ferran. It recounts the milestones in the life of a human being through the story of a man shipwrecked on a deserted tropical island who meets a giant red turtle. Because the soundtrack of the movie includes numerous natural sounds but only sparse elements of human voices, it quickly became apparent that the musical score would be a dream project for any film composer, but also a very difficult one. 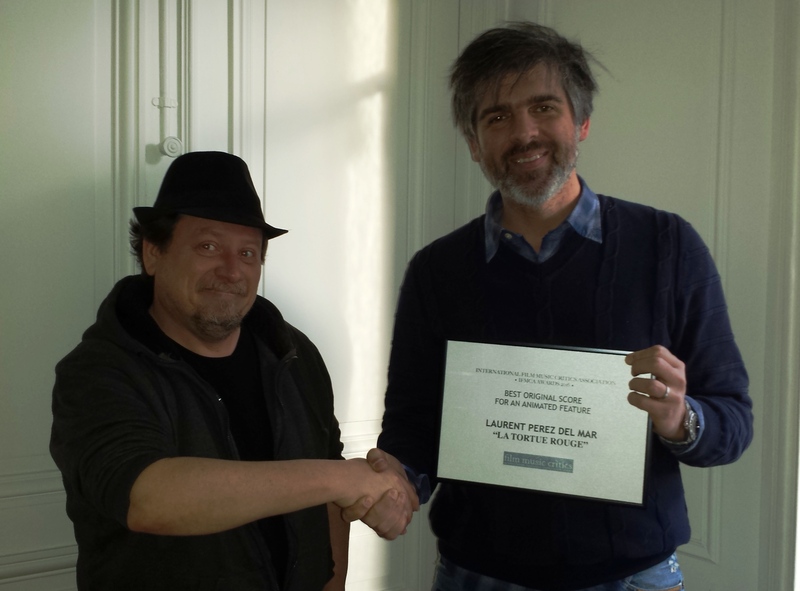 Laurent Perez del Mar and Michaël Dudok de Wit agreed that the score should exist in real coherence with the sound design, not to be intrusive, but at the same time reinforce the narration and the rhythm of the whole movie. The result is, according to IFMCA member James Southall, “frequently extremely beautiful, full of emotion”. IFMCA member Jon Broxton considers that the score “carries the entire weight of emotion throughout the film (and), as such, it often speaks in bold, expressive ways, with beautiful instrumental combinations, and affecting thematic development”. IFMCA member Florent Groult simply adds that del Mar’s music “moves the heart with the utmost sincerity”. Born 1974 in Nice, Laurent Perez del Mar started playing the piano at a very early age and studied music at the Conservatoire (in parallel with studies in medicine). After moving to Paris, he began to work for advertising agencies then wrote music for some shorts before completing his first feature film score in 2007 for the animated movie called Peur(s) du Noir [Fear of the Dark]. Since then his credits have included other animated features like Zarafa, Loulou l’Incroyable Secret, and Pourquoi J’ai (Pas) Mangé Mon Père [Evolution Man]. He also wrote scores for movies like Désordres [Chaos], La Confrérie des Larmes [The Brotherhood of Tears], Antigang [The Squad], and more recently the dramatic thriller Carole Matthieu. 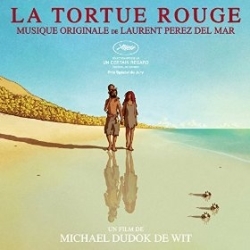 La Tortue Rouge’s score is available on CD by Spanish label Quartet Records. It’s about as beautifully simple and lithe as an epic visual feast can get, with Ghibli-esque themes about our spiritual connection to nature kept high in the mix, and an overarching bittersweetness that keeps the fantasy grounded in human emotion.